Hi my lovelies! I know I been lacking my fashion updates because I have some problems with my editing software. I am still improving and learning through my editing skills. Hope can get more inspire by watching different lookbook video from other blogger. This time I am filming crop series in my fashion lookbook. This time I just film 3 outfits in this video. The first outfit I wear my crop with my stripe cut in dress. Its just inspire me to have a video about crop series lookbook. I know not everyone will wear a crop with a dress. But because I need to cover up my flabby arm that's why I decide to wear a crop with my dress. This dress I have been bought 1 year ago and guess what I have not been wearing since then. I am not a girl who really fancy dress because I always prefer comfy wear. But since on that day we have our early 3rd year anniversary celebration, I decide to put on a dress. Turns out many of friend love this dress!! 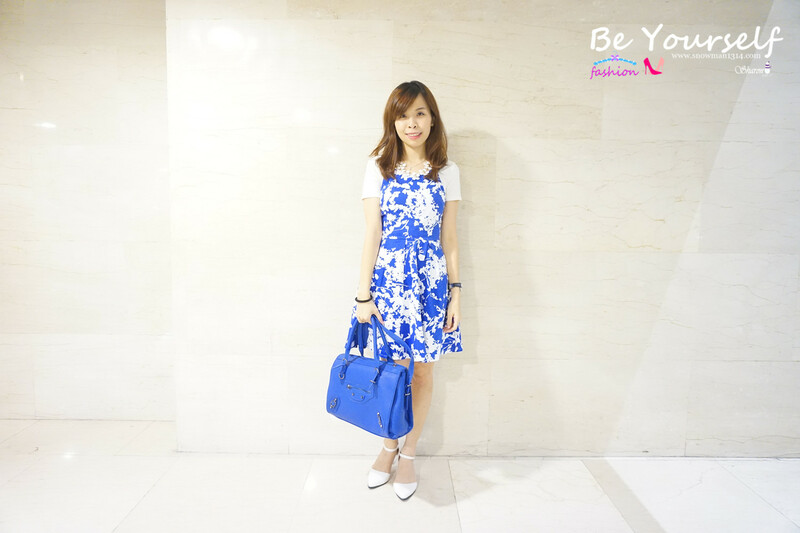 I love it too as the Blue and White color is so stand out and it just make my skin looks fairer. If you guys have been watching Korean drama - The Producer, you will saw one of the main actress, Gong Hyo Jin she have been wearing spaghetti strap with shirt in it. It was a trend later too. It was really easy to match and don't be afraid to try too as it was trending now. 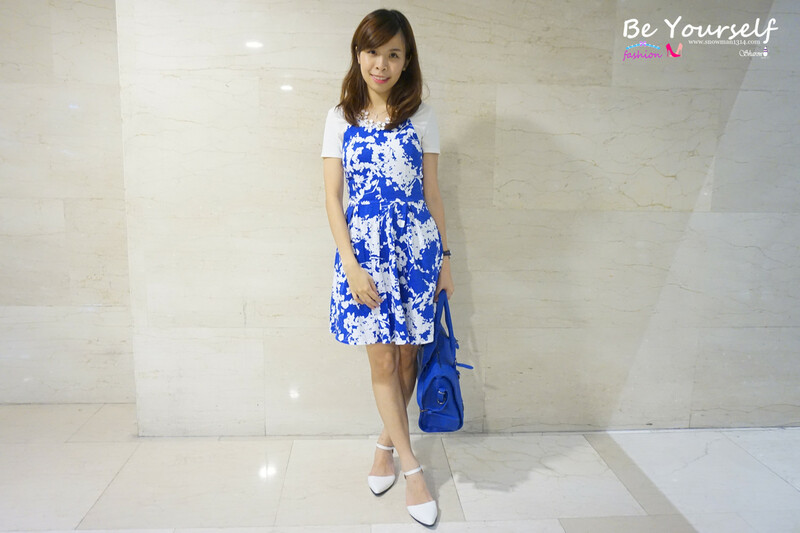 In this outfit I pair it with my new tulle skirt that I daigou straight from Taiwan. I remember I did mention that I wanted to find another tulle skirt. 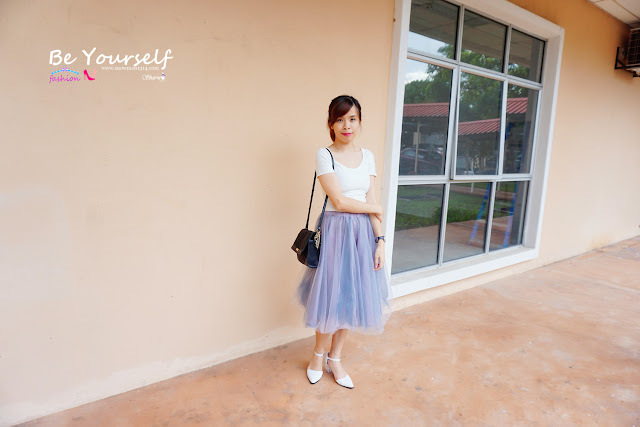 Finally, I saw this tulle skirt on one of the Taiwan Blogger I really like. I fall in love in first sight and decide to bought it home. The tulle skirt is really so DREAMY! It was a combination of grey, blue and purple. It just looks amazing the way its look like. The next tulle skirt I wish to try is a maxi design. Crop top is really easy match with any bottom. Any Skirt or pants will do! If you wish have a longer and slim look, crop is always a good choice to start with. Try a high waist pants or skirt will cover up our tummy and show the best part of your body. I always think that my wait is the slimmest part and my leg too. Or if you are confident with your abs line, don't afraid to show it out! The Pants Outfit I match with my recent favorite Chiffon Black Culottes!! It was so comfy and stylish because of its pleated design of the whole culottes. It was a bit see through on the knee length but the outer chiffon was midi length. You can see the details watch from my lookbook video. I love your blue dress. also the bag make it look perfect.